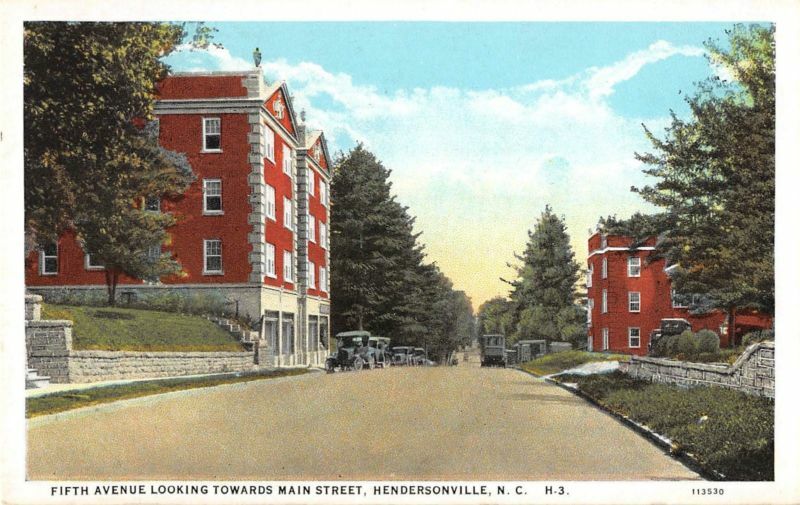 This train used to run from downtown Hendersonville, Main Street to Laurel Park. You could get on the train at the corner Main Street, in front of Hunter’s Pharmacy, then ride up the north side of 5th Avenue at speeds up to 25 miles per hour. A. Smith, the developer Laurel Park, got the franchise to put in train service in 1904, the tracks were laid and the train began operation by the spring of 1905. For 5¢ you could ride in the open-air car to Rainbow Lake. In high season, a flat car was towed behind to bring luggage and other goods up the mountain. The train had no turn-around. It backed back down the track. A dummy engine was a steam engine enclosed in a wooden box so that it would look like a coach. This was common then, when a train operated on city streets. They thought this would be less likely to frighten horses. At first they used a 25-horsepower wood-burning locomotive, then switched to coal-burning. Eventually, a steam electric plant was built and the train was converted to an electric street car. The car carried up to 50 people. It operated round trips every 30 minutes 9:00 AM till 11:00 PM from June first till the first Monday in September. The route went up Fifth Avenue. It made a sharp right turn onto White Pine Drive and a left on what is now Crystal Springs Drive. It stopped at a Dance Pavilion on the edge of Rainbow Lake. 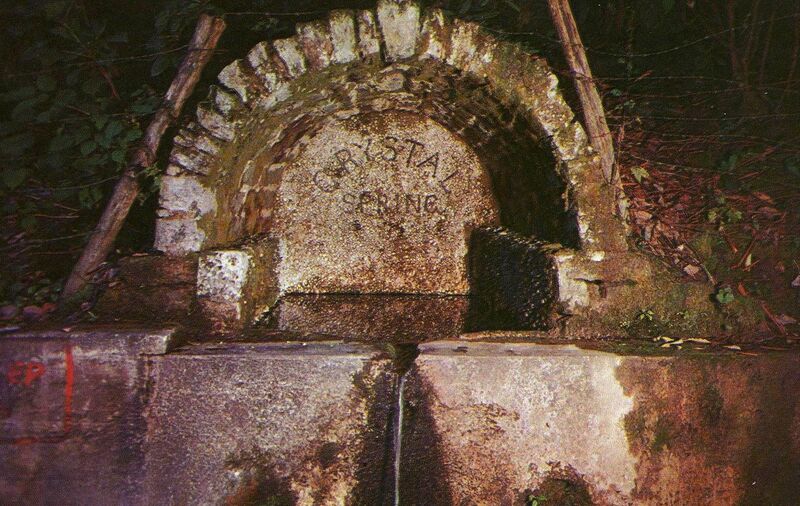 Cupid’s Path led up to Crystal Spring. From there you could take the Swiss Cog railroad up to an observation tower. Sometimes the car would jump the track at the curve by White Pine. The passengers would get off, lift the wheels back onto the tracks and finish their trip. The first engineer was Whitey Belcher, followed by Ranse Rodes, Roy Young and Archie Brown. Burgess Garmany was the fireman the whole time the train operated. One of the conductors was Norman Miller, Sr. who later established Miller’s Laundry, Now Miller’s Cleaners. Another conductor, W.B.Hodges, later became president of the State Trust Company. It is said that the train made as much as $600 a day during season. At 5c each, that’s a lot of passengers! As more and more people got automobiles, the train was discontinued. It was replaced by Jitney buses. 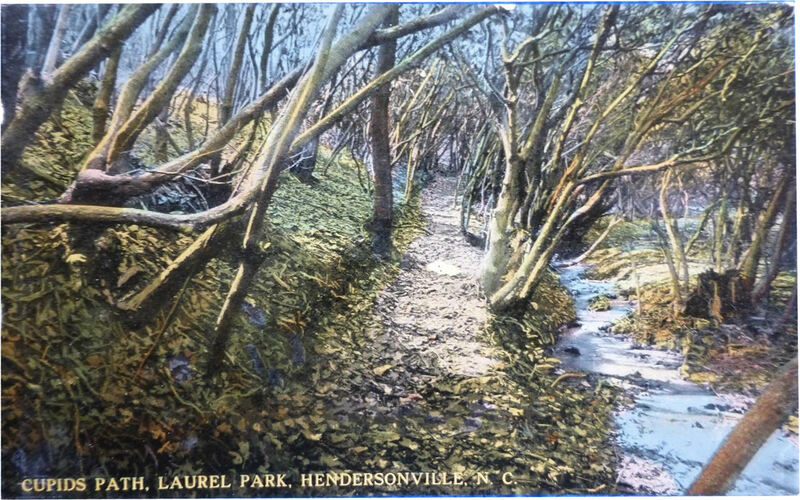 A fleet of Model T touring cars ran every 15 minutes from Hendersonville and Laurel Park during the summer.